ART SPACE supports NAPCAN and children's week with an exhibiton opening on October the first. Visit the exhibiton in the gallery right through the month of OCTOBER to see some stunning art work and help support The National Association for Prevention of Child Abuse and Neglect (NAPCAN). The work has been chosen to demonstrate the simplicity of children's perception of the world and the complexity of painting that world. 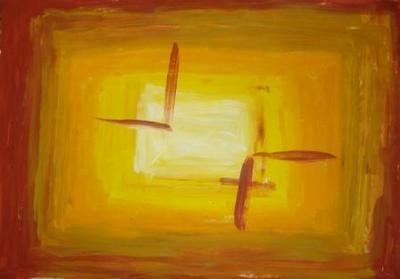 All paintings dispayed are by disabled clients of Carpentaria Disability Service.